Study abroad programs are designed to enrich students’ academic and personal lives through immersion into other cultures and countries by providing a unique educational experience. The faculty and staff have the ability to change the perspective and outlook of students as we lead them on the adventure of a lifetime through study abroad. View the one page guide on developing successful study abroad programs. This presentation will help guide you through the process of developing a study abroad program and working with the study abroad office at Purdue. Please feel free to contact Jill Churchill (churchil@purdue.edu) for additional information and assistance. Please contact Jill Churchill for assistance. Learn more about the challenges and rewards of leading a study abroad program from Purdue Faculty and Staff. I had an excellent experience working with GEP to develop and deliver a short-term study Study Abroad course in May 2015. The entire process of securing internal funds, completing and submitting paperwork, and recruiting students was handled efficiently and with effective support from GEP. The faculty member time commitment is similar to developing any new course. Students had many positive comments, particularly about how the course helped with their professional goals. I developed and offered two study-abroad courses so far –on earthquake engineering with focus on Istanbul, Turkey (21 students; Spring 2008) and on Christchurch, New Zealand (18 students; Maymester 2014). I could not have done them without the great help of the wonderful staff at GEP. They are fantastic! Most knowledgeable, extremely keen, helpful and conscientious about everything I needed help with from the beginning till the end: all of the paperwork, preliminary and final budget development, rate request, financial support application, trip scheduling including technical and social activities, room & board and transportation logistics and all long-distance and on-site communications involved, and taking care of the group, emergency support and communications with Purdue while abroad, and more. It is thanks to the superb support by the GEP staff I could focus on technical content development and enjoy the class thoroughly. Certainly the classes required good amount of time and effort to develop and deliver. But there is nothing like teaching to, and interacting with, enthusiastic students who ask questions, answer questions, help each other and me in class and on site. The students were awesome! It was a joy to teach them. And we got to do, see, and learn so much! Fascinating! The immediate feedback from the students were all extremely positive. They loved it. And I continue to receive messages from many of them on different occasions and they still write fondly about their course. It is a great feeling to know that I was involved in a once-in-a-lifetime experience for them. And so it is for me. I loved teaching those students and developing those courses. I look forward to having more and developing more. The opportunities are out there. And I know that the GEP support will certainly be there. 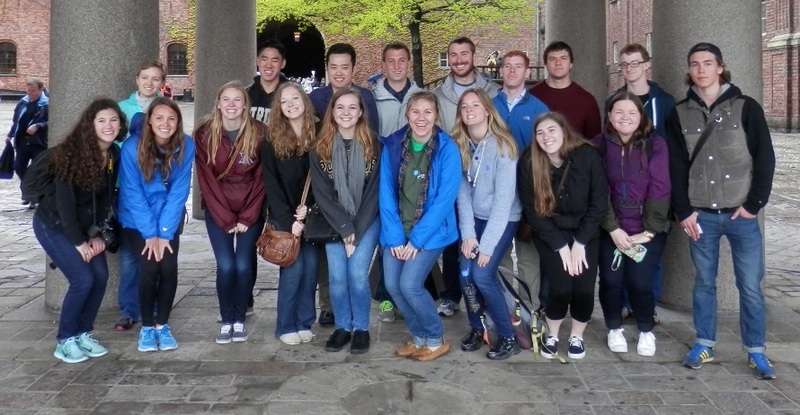 I co-led a study abroad trip to Ireland this past Maymester, and the support that the GEP office provided was invaluable. They managed all of the administrative and logistic details of the trip which allowed us to focus on the technical and program aspects of the trip, unlike many other colleges here at Purdue. The program itself was a wonderful experience for both the students and the instructors. The students were engaged and enthusiastic, and reflected on how much they benefited both personally and professionally. As instructors, we enjoyed mentoring a motivated group of students in this unique context. We are already working with the GEP office to plan our trip for next May, which is made easier by their ongoing knowledge and experience with our program.